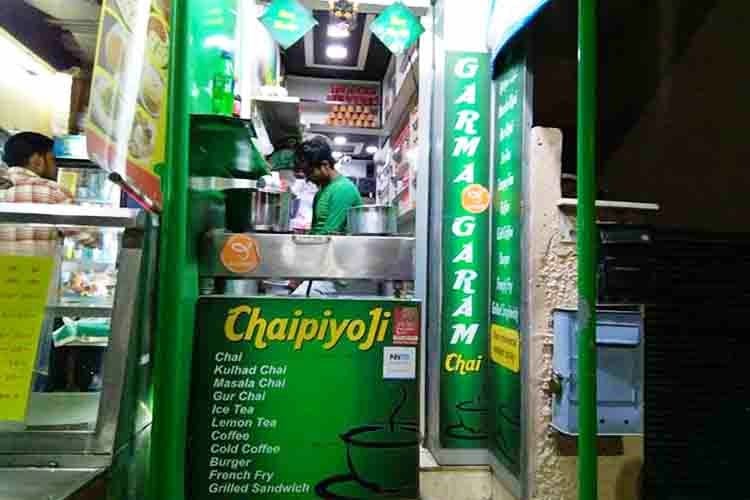 If you happen to visit your parlour or your favourite fast food restaurant at Green Park Market the next time, make sure to stop by at this new chai stall called Chaipiyoji. We stumbled upon it one evening and couldn’t get ourselves to stop laughing at its endearing name. As the name suggests, this little shop is all about tea. They’ve tried to improvise and modernise local tea shops you find near office spaces or in markets. This one has a variety of teas to choose from and the popular side dish to go with it – bun maska. What caught our eye were the bright colours used by the shop and their collection of kullars, stacked meticulously on the side! They have a collection of local brews such as kullar chai, masala chai, gur chai and of course, lemon chai. We tried the popular masala chai and it wasn’t bad at all. They also serve burgers, grilled sandwiches and French fries but we suggest you go for their bun maska and go old school instead. This cute little shop is already gathering quite an evening crowd and doing pretty decent for its fourth month! Have a chai or two the next time you’re here.